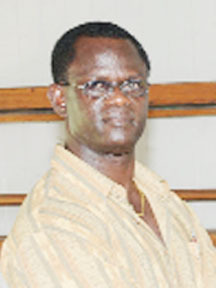 – AAG President President of the Athletics Association of Guyana (AAG), Colin Boyce, is very optimistic about the performances of the four Guyanese athletes who will represent Guyana this afternoon in Paramaribo, Suriname in the second leg of the International Association of Athletics Federations (IAAF) South American 10km Road Race Classic. 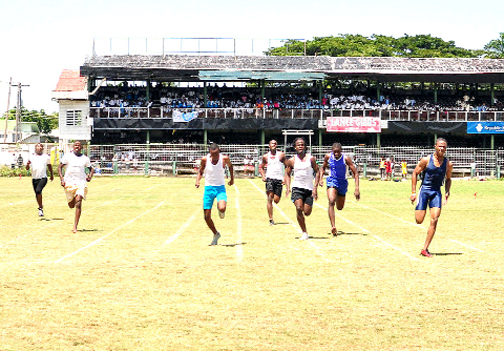 Students of the Green Acres Play, Nursery, and Primary School yesterday got in on some of the athletics action when the school held the track events of its annual Athletics Championships at the Carifesta Sports Complex Ground. 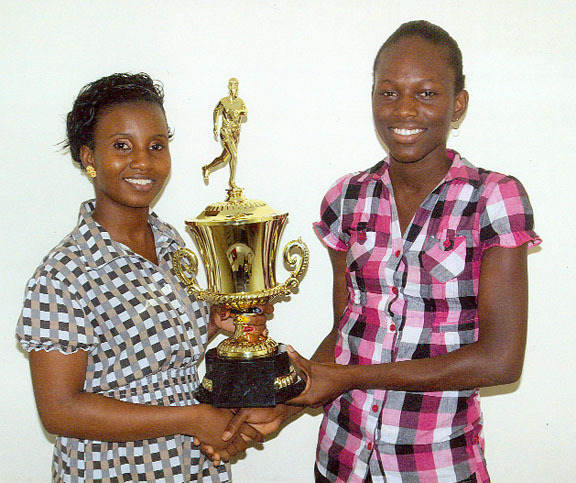 On the initiative of former champion girl Alika Morgan and her coach Leslie Black, general construction company Chung’s Global Enterprise on Tuesday donated a lien trophy to be awarded to the champion girl of the schools annual National Track and Field, Swimming and Cycling Championships. 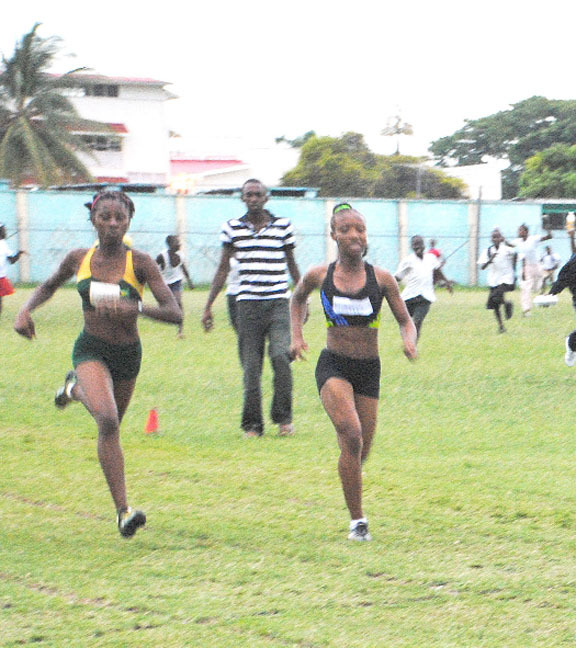 Tiffany Carto and Letitia Myles yesterday produced the first photo-finish of the South Georgetown Inter-Schools Champion of Champions track and field championships at the Eve Leary ground. KINGSTON, Jamaica, CMC – Usain Bolt has passed himself as fully fit again, and is looking forward to the challenges of the coming year. AUSTIN, Texas, CMC – Marion Jones has written a book that hit the stores yesterday, and in it she is contrite about the lies that sent her to prison for six months two years ago. – 30 acres identified at Leonora By Tamica Garnett The Minister of Culture, Youth and Sport Dr Frank Anthony says construction work on the long-anticipated synthetic track will get underway before year-end, with over 30 acres of land identified to erect the facility. 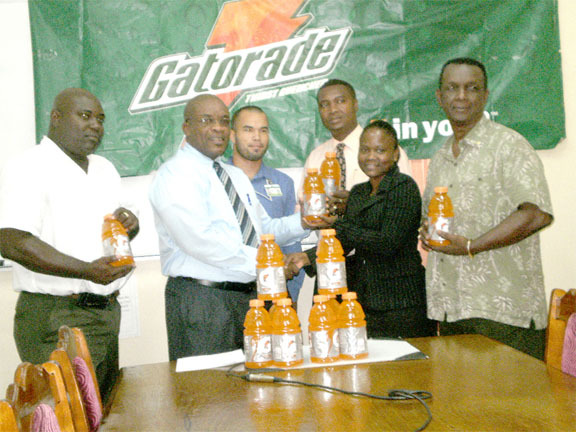 By Tamica Garnett With a pledge of $1.2 million worth of their sports drink Gatorade, beverage company Demerara Distillers Ltd (DDL) yesterday declared themselves a co-sponsor of the upcoming schools National Track, Field, Cycling and Swimming Championships slated for the National Stadium from November 9 – 12. 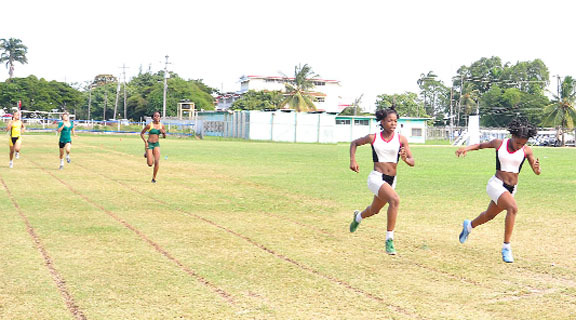 Winning three sprint events, Vreed-en-Hoop Secondary student Tandika Burgess ruled the day on Thursday at the West Demerara District No.3 Inter-Branch Athletics Championships at the Uitvlugt Community Centre ground. 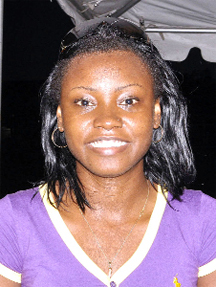 KINGSTON, Jamaica, CMC – World and Olympic sprint relay gold medalist Aleen Bailey is the 2010 winner of the Courtney Walsh Award for Excellence. Former national swimmer Asantie Mickle yesterday lit up the University of Guyana Inter-Faculty Track and Field Championships yesterday at the Police Sports Club ground, Eve Leary. 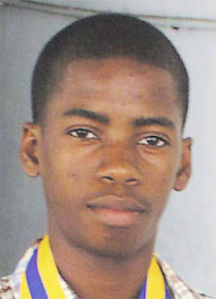 Following his dominance in the 200m finals on Thursday, Carl Lewis came back on Friday to take the boys under-20 100m final on Day Two of the track events of the East Georgetown District Champion of Ch ampions meet at GCC ground, Bourda. 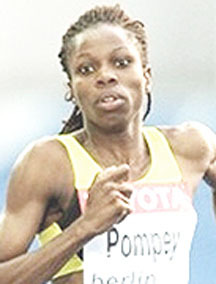 Guyana’s Aliann Pompey had her Commonwealth Games bronze medal upgraded to a silver medal following a positive dope test by Nigeria’s Folashade Abugan. The Daniels twin sisters, Shoquan and Shomane yesterday met their match in each other when they clashed in the girls’ under-16 category at the North Georgetown District No.11 Inter-Zone Championships at the Police Sports Club ground, Eve Leary. 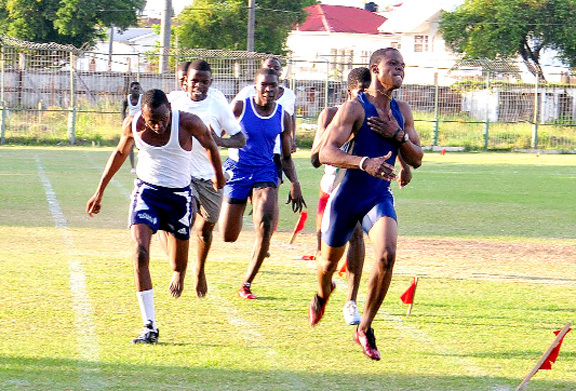 Heats for the 100m and 200m races were a major part of day one at the East Georgetown District Champion of Champions inter-school meet yesterday at the GCC ground, Bourda, but the announcement of the boys under-20 200m as a finals sent the day’s excitement to a dazzling peak. 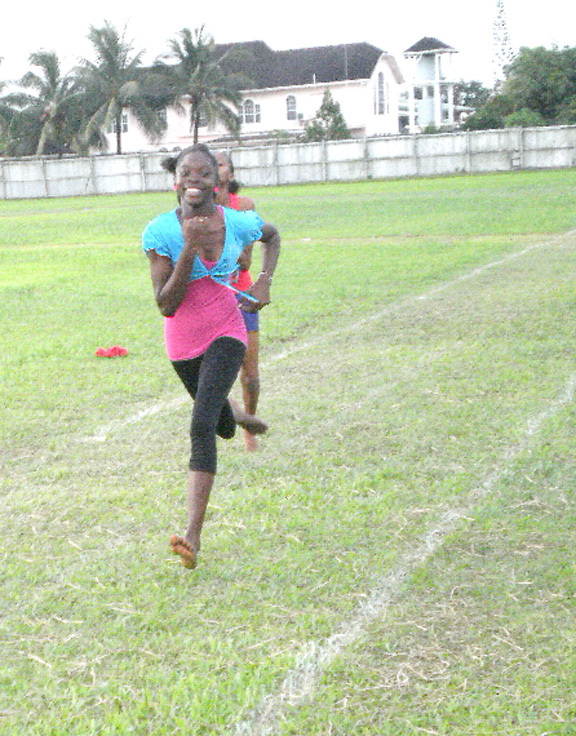 With commanding wins in the 100m and 200m events of the girls under-16 category, nationals athlete Kimberley McIntyre was the highlight of the day at the Wales Community Centre on Wednesday at one of the Inter-schools Championships of the West Demerara district.